Whether you’re a traditionalist or an adventure-seeker in the kitchen, we’ve got plenty of ways for the star of your Christmas dinner to truly shine! Let us know in the comments below which recipe you plan on using for the holidays! You’re going to love this savory showstopper! 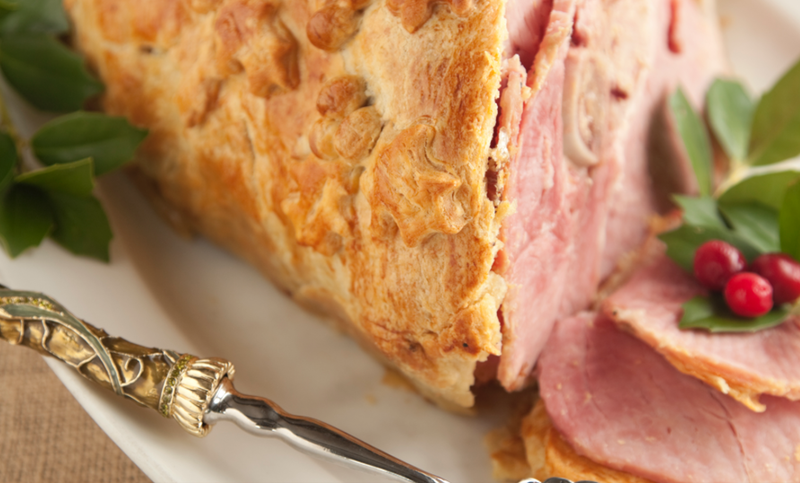 A fresh-flavored ham that is perfect for the holidays and all year round. The tangy glaze on this ham will make you want to lick your plate, and we won’t blame you! The title says it all! This recipe is always Paula’s centerpiece for her holiday feast, and she wants to share it with you. Yes, this recipe really calls for cola! Once you try it, you’ll wish you had heard about it sooner. This Southern favorite will send you back to memories of your grandmother’s house on a chilly winter’s evening. Peanut butter isn’t just for cookies and sandwiches. This glaze will definitely knock your socks off. If it comes from Aunt Peggy’s recipe repertoire, then you know it has to be good! We guarantee this will be one of the juiciest hams you’ve ever put in your mouth. This baked ham has a savory soy house seasoning that will give a slightly unexpected and flavor to your holiday table.